When you make an offer on a property the estate agent may ask for proof of funds. Here’s why they are asking and what you may be asked to provide. Estate agents will also want to see proof of funds. In the case of a mortgage, evidence usually takes the form of a mortgage agreement in principle which you can get from your lender or via your mortgage broker, plus a bank statement showing you have your deposit. If you are a cash buyer you will have to provide a bank statement showing you have the money. When do I need to show proof funds and who to? When you buy a property, you could end up showing proof of funds several times. That’s because there are numerous parties that need to see evidence that you can afford the house you are trying to buy. The estate agent, your solicitor, the seller’s solicitor and your mortgage lender (if you need a mortgage) all have a legal requirement to establish that you have the money to buy the property. You don’t have to show proof of funds until you have made an offer on a property. However, some estate agents may ask to see it earlier. There’s nothing wrong with doing this, but if you don’t want to you don’t have to. But showing evidence you have the funds in place means you are a serious buyer. Do I need to see the estate agents in-house mortgage broker? No. But we do hear of instances of estate agents referring buyers to their mortgage broker under the pretence that they will need to validate the source of funds under anti-money laundering regulations. This is simply a sales tactic to get you speaking to the mortgage broker and using their in-house provider – for which the estate agent will get a referral fee. It is also illegal for the estate agent to say you have to use their mortgage broker in order to get first sight of houses new to market or in order to make an offer. Read more about why you should avoid estate agents’ in-house services and get in touch with us at hello@hoa.org.uk if you think you are missing out because you won’t use the estate agent’s mortgage broker or solicitor. My estate agent wants to see bank statements – is that normal? This all depends on when the agent is asking to see bank statements for and why they say they are doing it. An estate agent doesn’t have a right to demand they see your proof of funds before you’ve made an offer on a property. Evidence you have funds could be via a bank statement, a mortgage agreement in principle, and where relevant evidence you are selling a property (in which case the agent can speak to the estate agent you are selling with for a status report). If you are a cash buyer, then a bank statement will show you have the money in the bank. These are two very different things, but estate agents can ask to see both. Proof of funds – this is evidence that you have the money needed for you to proceed with a property purchase. It could be a bank statement showing you have the money in the bank and/or a mortgage agreement in principle. Source of funds – this is evidence of how you came to have the money in your possession. This could be bank statements showing you have saved the money over a period of time, a letter from someone saying they are gifting you the money etc. See below. The most common way of demonstrating you have funds in place and are a serious buyer is with a mortgage agreement in principle (MIP) from a lender. However, be careful how early you get an MIP. In order to get most agreements in principal the lender will do a hard search on your credit history. This will show on your credit report and multiple searches can adversely affect your credit rating. However, some lenders can issue an MIP after only doing a soft search, which won’t affect your credit rating. Another issue with getting an MIP before you’ve made an offer on a property is you don’t know how long it will take to find your dream home. A gap of several months could mean there are better deals available than your MIP. We’d recommend waiting until you are ready to make an offer before securing an MIP. In the meantime, be prepared to show an estate agent a bank statement proving your deposit to show you are a serious buyer. Read more about how and when you should get a mortgage. Most people buying with a mortgage stump up a deposit as well. This means that as well as showing a mortgage agreement in principle you could be asked to show proof that you have the necessary deposit as well. This means providing a bank statement showing you have the cash or showing evidence that your current home is on the market if you are using its sale to fund your next property. Due to anti-money laundering legislation your estate agent can also ask to see the source of your funds. It is up to you to prove that your money has not come from the proceeds of crime. So, you will have to provide evidence of how the money legitimately came into your possession. Savings. If you have saved the money yourself, you’ll need to provide bank statements going back over a period of time showing how you gradually built up the money. Gift. A letter from the person gifting you the money plus evidence of how it came into their possession. Inheritance. Evidence from the executors of the estate. Sale of a property. A copy of the completion statement from your solicitor. Alternatively, they may accept a copy of your bank statement showing the money being received from a solicitor. Pension. A copy of your pension statement and a copy of your bank statement showing the money coming in from a pension firm. Gambling winnings. Won the lottery? Lucky you. If you plan to buy a house, you’ll need to show a receipt proving your winnings. Compensation. A copy of the letter you received from a solicitor or court confirming your compensation settlement. 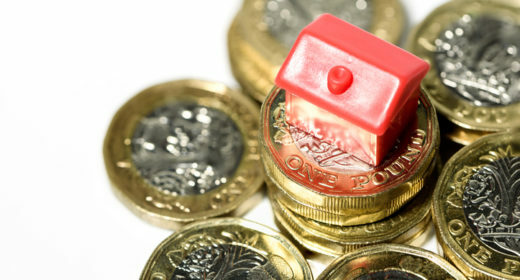 If you can afford to buy a property outright, without a mortgage, then you are classed as a cash buyer. This means an estate agent will need to see evidence that you have the money, plus they are likely to ask where the money has come from too. It is the legal responsibility of the estate agent to check your funds are not the proceeds of crime under anti-money laundering laws. This means you will have to show them your financial position. Money Laundering Regulations also causes problems if you are receiving money from abroad to help you buy a house. It is possible that your solicitor will decline funds if the money is coming from a high-risk country or someone who is connected to a high-risk country. Under the rules all countries are classed as high risk with the exception of: Australia; Austria; Belgium; Canada; Cyprus; Denmark; Finland; France; Germany; Greece; Hong Kong; Iceland; Japan; Ireland; Italy; Luxembourg; Malta; The Netherlands; New Zealand; Norway; Portugal; Singapore; Spain; Sweden; Switzerland; UK and the USA.